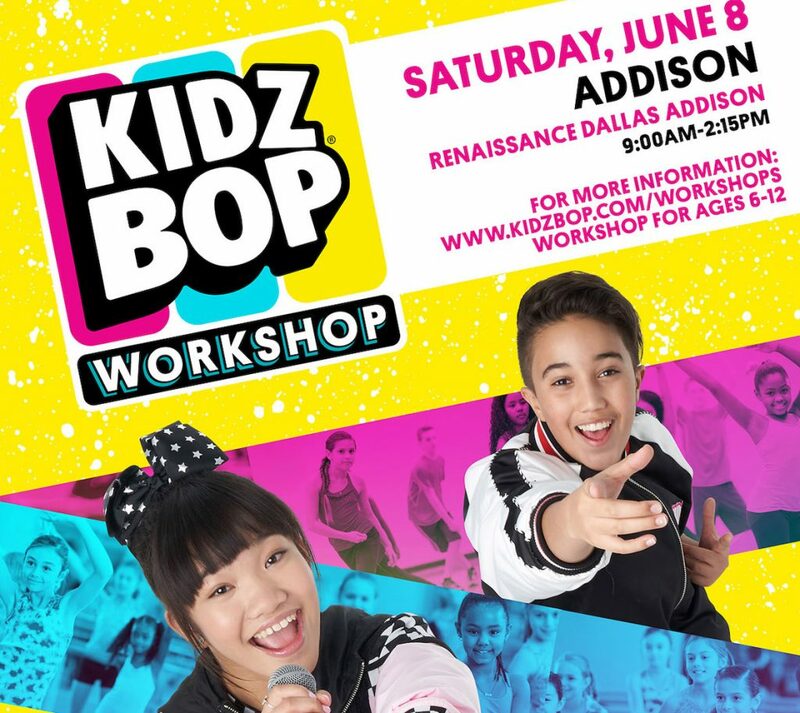 Join KidzBop on their 2019 WORLD TOUR on June 8th at Toyota Music Factory at 6:00 p.m.
We’re also giving away TWO passes to the KIDZ BOP Workshop. This 4.5 hour workshop is for 6-12-year-old kids of all skill levels, who love to dance, sing, and perform. Taught by official KIDZ BOP choreographers and vocal coaches, kids will learn dance moves from the KIDZ BOP live show and even have the opportunity to film a video showing off their best choreography alongside the KIDZ BOP Kids! The Contest begins at 12:01 AM Pacific Time (“PT”) on Monday, April 8, 2019, and ends at 11:59 PM PT on Tuesday, May 28, 2019 (“Entry Period”)—Any entries received after the Entry Period will not be eligible for judging.